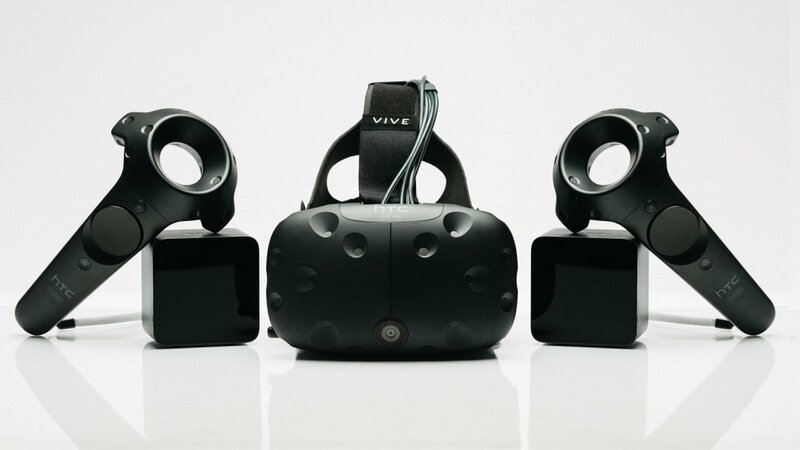 If you’re thinking about picking up a virtual reality headset and aren’t sure if you should get the Oculus Rift or the HTC Vive, get the Vive. The Vive has so many advantages over its competitor the Oculus Rift that it already feels like a generation ahead. While the Rift currently offers only sitting and basic standing experiences, the Vive has room-scale VR and it is a game changer. What this means is that you can walk freely around a predetermined space in your room as long as the lengthy cable on the headset can reach. The headset and (included) custom controllers are tracked in real-time with extreme precision. You also don’t have to worry about walking into a wall, as the Chaperone feature will cause a wireframe outline of your space pop-up in front of you when you near the edge. This ability works via two base stations that have to be in corners of your room facing each other—be they wall mounted, on tripods, or otherwise. I mounted mine with strong velcro strips and placed some pillows underneath them just in case the strips didn’t hold, but after about a month they are still holding strong. 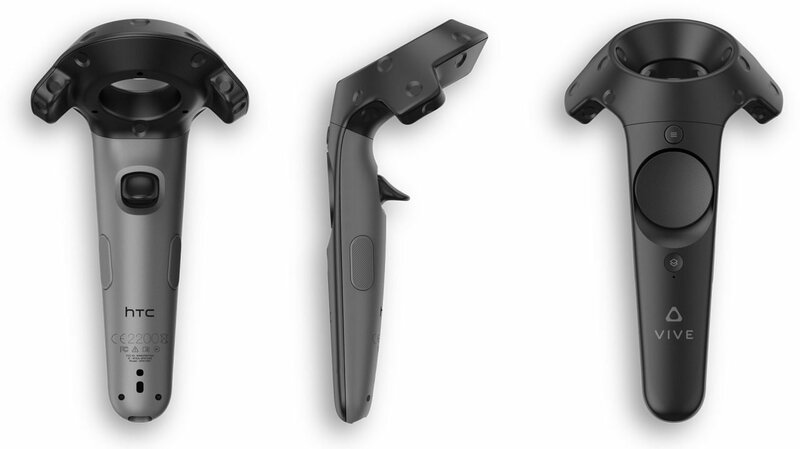 The controllers for the Vive are something totally different from any controller you’ve used, yet quickly becomes second nature. Each controller has a trigger on the back, a touch pad, a menu button, a Steam button, and grip buttons on each side of the controller. The touchpad is a hard plastic surface that tracks your finger similar to a trackpad, and also works as a physical button. The triggers are placed in such a way that pulling them feels more like pulling an actual trigger on a gun compared to how other controllers feel, though the amount of pressure needed is similar to what you’re already used to. Overall the controllers are quite comfortable and benefit from having rechargeable batteries, though time will tell how these batteries function after hundreds of recharges. 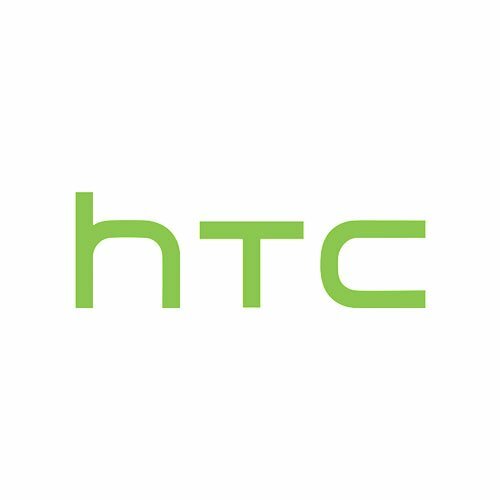 As HTC partnered with Valve in creating the Vive, you’ll be doing everything through Steam via the Steam VR software, which is far slicker than Oculus Home. Being on Steam also means you get access to a lot more games than Oculus Home, though one could argue that is due to Steam’s seemingly non-existent quality control. While there is already over 200 pieces of content available, many of the experiences are subpar at best. Currently, it seems like a lot of developers are focusing on making games where each controller controls a separate gun, and you’re meant to spin in circles shooting enemies as they advance at you. The genre already feels oversaturated and stale, even after existing for only a month. However, there are a few standout titles available for the Vive such as The Gallery Episode 1: Call of the Starseed, a Speilberg-like first-person, puzzle adventure game with fantastic voice-acting, a catchy soundtrack and a talented cast of voice actors. For those looking for something a bit more relaxed, there’s the cute puzzler Fantastic Contraption that has players building vehicles to reach goals across the level. If you’re feeling artistic, Google’s Tilt Brush allows you draw in 3D space and create entire room-sized drawings you can walk through in virtual reality. While the Vive has more commercial software available for it, nothing feels quite like a complete game or full-fledged experience you’d expect on any other platform whereas the Rift does offer a few titles that feel complete. This is most likely due to the Rift having kits in developer’s hands for a long time versus the relatively short turn time for the Vive to go from development to retail. The lack of any ‘killer’ game or software is really the only thing holding back the Vive right now, but with time that gap will be filled. 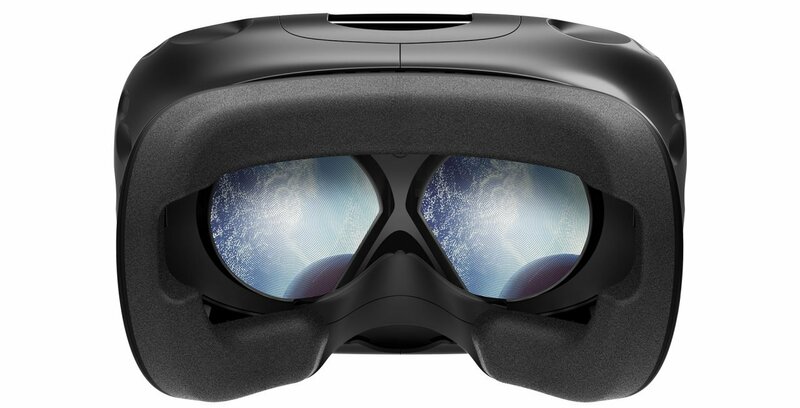 In the meantime, Vive owners can play Rift games on their device via the free Revive software created by talented modders if they so wish. HTC Vive is hands-down the better of the two currently available VR headsets overall. It fits more comfortably, comes with custom controllers, has room-scale tracking, runs on Steam, and doesn’t seem to have those pesky ‘god ray’ distortions that the Rift is known to have. 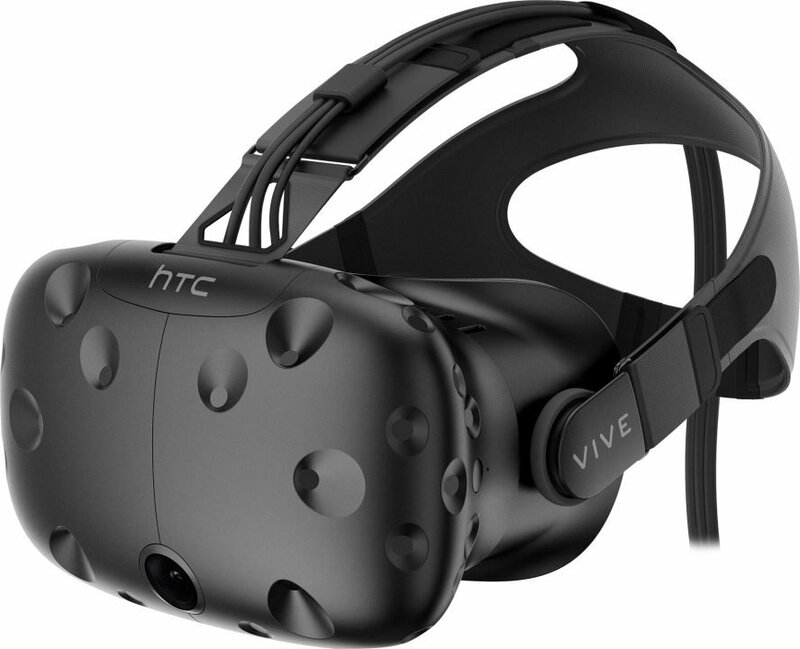 If you’ve got a powerful enough computer, a big enough room, enough money ($799 USD) and are ready to buy into virtual reality, the Vive is the way to go. For those on the fence I’d suggest you wait and see what the future holds software-wise and how long it will be before the inevitable second iteration hits the market. If you just can't wait to buy a VR headset, the Vive is the way to go, just don't expect fully-fledged titles this early in the headset's lifetime.